This morning Katherine and I are at the Inner Harbor in downtown Baltimore. 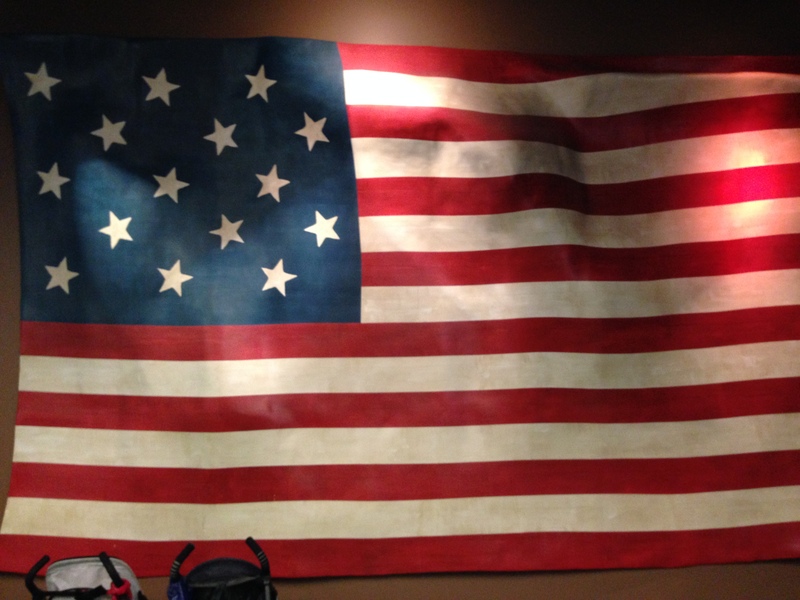 Our goal is to make our way to Fort McHenry, where 200 years ago Francis Scott Key wrote the Star Spangled Banner, our National Anthem, and the city is celebrating. 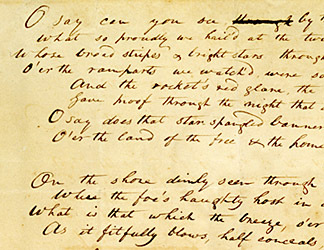 The Anthem was penned in 1814 during the War of 1812 in the Battle of Baltimore, a conflict that is arguably believed to have saved the Republic from Great Britain’s attempt to retake the country it had lost forty years before during the Revolutionary War. The original manuscript will be on display. A massive presence of war ships, past and present, will be in the Harbor. The Blue Angels will fly overhead. 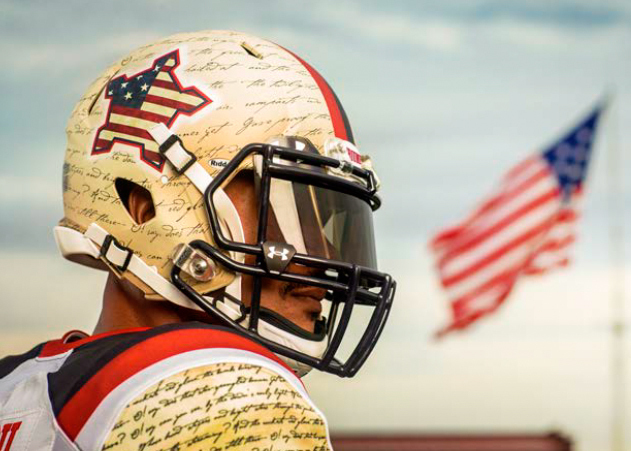 The University of Maryland Football team will sport uniforms that bear the words of the Anthem. As Christ-followers we celebrate that in Jesus we have been woven into the story God, one He has told throughout the ages, and a story whose nuanced details unfold with every crease and turn of history – our histories and all of history. It is a redemptive story, and it finds its greatest expression in Jesus, who not only entered into the narrative, but through whom our own broken and imperfect stories are retold through the prism of His death and resurrection. In many years of ministry I’ve learned that it is overly simplistic to reduce facts and occurrences to neat packages when trying to decipher the meaning of events in people’s lives. We are unfinished, and this means that there will always be things we can’t explain or understand during our short time on the earth. In some way we are like the people of faith commemorated in Hebrews 11, who never touched foot on Canaan, the Promised Land, only to find their destination was in fact, always intended to be ‘a better country… a heavenly one… a city God had prepared for them’ (Hebrews 11:13-16). For me, keeping this in mind is how I maintain perspective. Living in a fallen world (and within my own fallenness) has a way of making the temporary, eternal, and the eternal, imaginary. And it is easy to become a slave to the moment. But the story we have been written into transcends time, events (good and bad), success and failure. It is not so fragile that a tragedy can make it untrue, nor is it dependent on good things for it to remain good. It is God’s story. We don’t write it, but we share in it – and that makes it ours too. You are currently reading Star Spangled Stories at unfinished1.